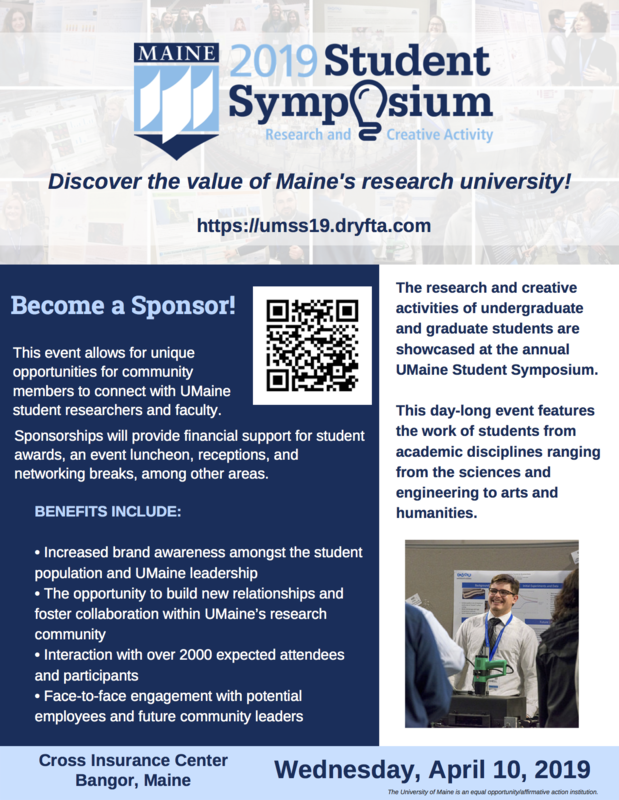 Don’t miss out on the fourth Annual 2019 University of Maine Student Symposium. 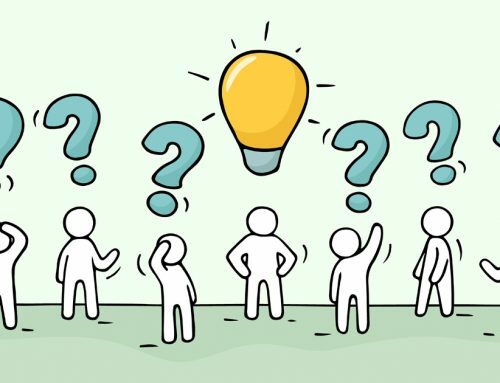 Get a chance to see what the young Maine minds of 2019 are researching and creating. This symposium highlights undergraduate and graduate student research and creative activities from a variety of academic disciplines, including bio-engineering and bio-sciences. Students will showcase their work through posters, exhibits, performances, and oral presentations. The event is open to the public, which gives the community the opportunity to get a closer look into UMaine’s academic programs and what their students’ learn and produce throughout the year. This event will provide UMaine students with the opportunity to have face-to-face engagement with potential employees and future community leaders. 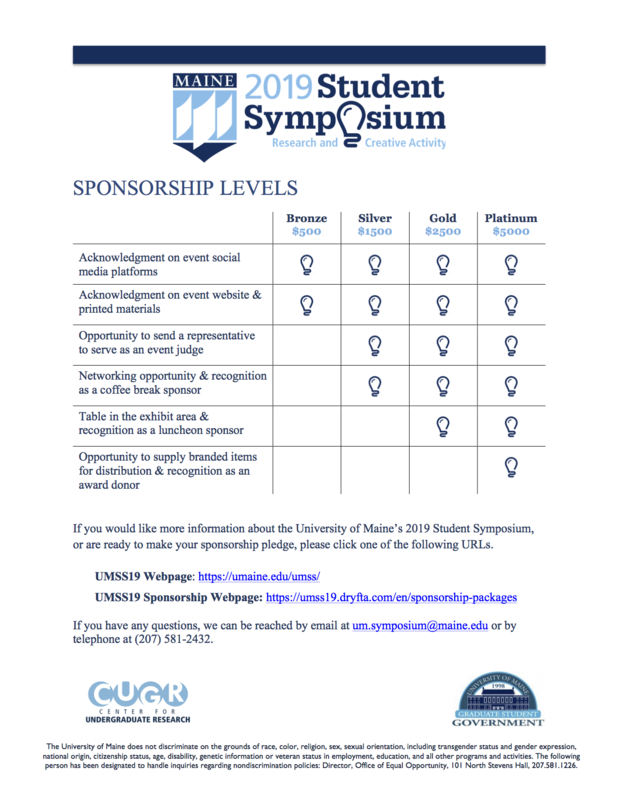 There are many benefits to sponsoring this symposium, including increased brand awareness with the student population and UMaine leadership, the opportunity to build new relationships and foster collaboration with UMaine’s research community, and interaction with over 2,000 expected attendees and participants.